With a water purifying system from RainSoft, the water from your kitchen tap will taste so good that you and your family members will want to drink more and more of it! Even though the municipal water supply in Richmond, VA, is safe for drinking, you might still intentionally – or unintentionally – avoid it. Perhaps you find the taste unpalatable, or you don’t care for the smell. Or, maybe you don’t like the fact that you can see particles floating in it. Whichever reason makes you steer clear of your faucet, it can be addressed by an innovative water purifying system from RainSoft. We offer two high-quality drinking water systems: The Ultrefiner II, which incorporates reverse osmosis technology, and the Hydrefiner Filtration System, which utilizes an advanced carbon block filter to remove impurities. Drinking water is essential to good health. As your body’s principal chemical component, water constitutes approximately 60 percent of your weight, and every vital system in your body is dependent on it. Among other things, water lubricates and cushions your joints; protects and nourishes your brain, spinal cord, and other tissues; regulates your body temperature; and facilitates the removal of waste. Even mild dehydration can drain your energy and make your feel tired. Therefore, having a convenient source of delicious-tasting water via a RainSoft water purifying system will help to ensure that you and your family drink enough, instead of resorting to unhealthy substitutes like sugary sodas and juices or, perhaps even worse, failing to take in a sufficient volume of fluids. With RainSoft, it’s easy to ensure that you and your family have a continual supply of fresh, clean drinking water – whenever you want it. 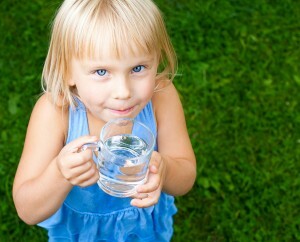 What’s more, an economical home water purifying system will eliminate the need to purchase and carry bottled water. Your wallet – and your back – will thank you. To learn more, contact us today. An authorized RainSoft dealer will be pleased to perform a complimentary in-home water hardness and drinking water test, answer your questions, and help you select the best water purifying system for your household in Richmond, VA.